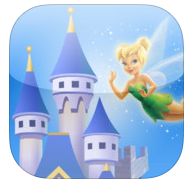 Top 5 (Free) iPhone apps for Disney World! Hello all, hope everyone is doing well. 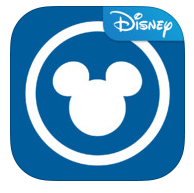 There are many apps that help organize your travels, obviously we’re here to talk about Disney. 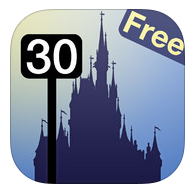 Of course, we the tough economic times that we’re going through the least I’m going to recommend is spending $4.99 on an app (I mean…that’s a bag of Popcorn at Magic Kingdom!! Priorities, people.). Anyhow, these are the apps that I found useful during my most recent trip. Just a recommendation, search for the ones that suit you and your family’s needs. Current park operation times (remember, sometimes they change by season), parade times, wait times. Search for attractions and wait times with the “Near Me” button. Select rides by age/category/Fast Pass to search for. Dining options list by theme park/Restort/Downtown Disney area (Menus and prices included in most). “Friend finder” – You can create groups and see where the other members are through this option. Great if you’re traveling with teenagers. Locate me – you never know. Parking – Know where you parked through GPS system. Option for WDW Resort in Florida and Disneyland Resort in California. Map and event times by park. Resort maps with recreation areas listed. (Includes only Disney hotels, not even Downtown Disney area hotels). Some features are unlocked when you are at WDW since it uses the iPhones location feature. Sign in option to unlock more “magic”. 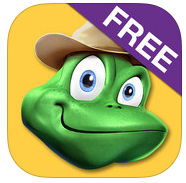 Characters Today – See where your favorite characters will be that day and beat the crowds. MyReservations – Sign in with your Disney account and make reservations at your favorite reservations. Just wait times… – I list this one because maybe not everyone wants a lot of features and just the wait times, this simple app is the one for you. Park hours for up 5-6 months in advance. (For example, as I’m writing this I checked and you can see park times up until May 13, 2014.) Great for planning ahead. – I know some of these apps share some common features but go ahead and check them out and see the one that you like better. My personal favorite is Undercover Tourist, I find it has everything I need. Check them out and see which one fits your travel needs. Disclaimer: This is not a sponsored post. All things mentioned are done so by my own recommendation. Photo are taken from iTunes.apple.com ! 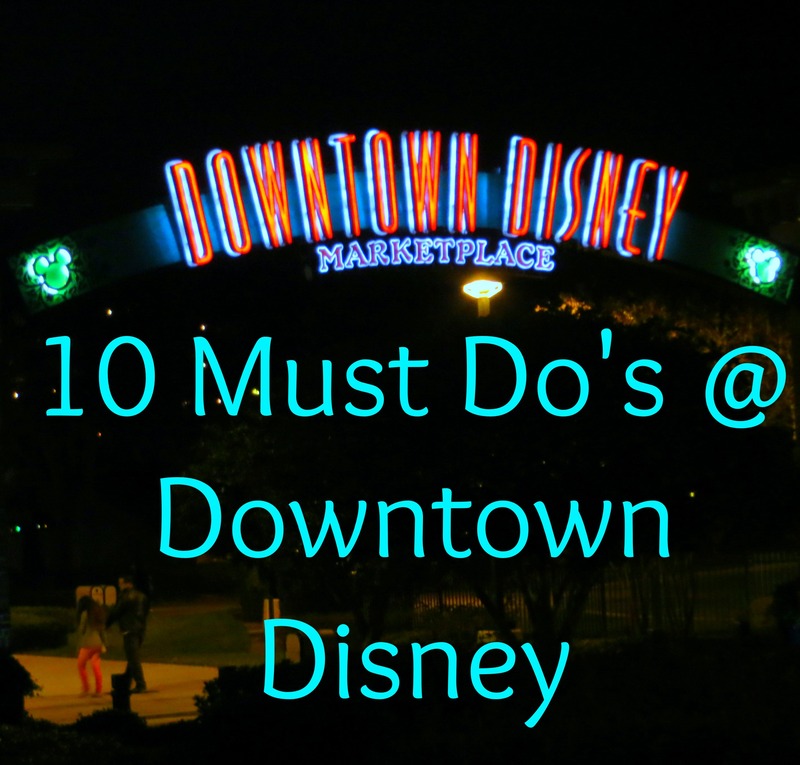 I love Downtown Disney – some may say obsessed. This could be the result of two things. First off, I’ve been going to Downtown Disney every since I can remember, I’ve always stayed in the Downtown Disney (except once in 2008) resort area so we always ended our nights there. Second of all, it’s FREE and there is so much to do in a calmer pace than the theme parks. 1. Trade some pins! Whether you’re a collector, newbie or just looking for one or two pins to take back as a souvenir you won’t find a bigger collection than the one at Disney Pin Traders over at Marketplace. Even if you don’t buy any you can still see the amazing (and largest) pin collection on WDW grounds. If you’re on a budget order a few beforehand online and trade when you get there, just remember to follow the rules. 2. LEGO Imagination CenterWe’re still in Marketplace, keep up. – The best thing about LEGO Imagination Center is that kids (and adults) can both see amazing LEGO sculptures, play in the huge LEGO table or buy there own to build back in the hotel or at home. Take great pictures with the dragon in the lake or with the tourists. It’s like getting 2 “attractions” in one. Now…don’t go yelling at me for mentioning candy, you’re on vacation, it’s allowed. Anyways, Candy Cauldron has everything from packaged goodies to fresh baked treats. Skip making lines for candy at the parks wasting precious time and make getting that caramel apple something to look forward to at the end of the night. Located in West Side (in front of Bongo’s). — Same goes for Goofy’s Candy Co. at Marketplace. Disney? Christmas? All year long? … Must I really say more?. Located in Marketplace. Back to Marketplace, keep up. This is a great place to stop by for adults. It’s not just candy and glitter-y pens at WDW. There’s something for adults as well. This place has teas from all over the world, some WDW themed and some not but all great and lots of different flavors. Great spices too, but the tea assortment is the real winner. There are baggies, boxes, tea pots and tea cups! You’ll have to check with your airline’s regulations before stocking up but it’s great (and might I add, different) store to go to. THE BIGGEST SELECTION OF DISNEY MERCHANDISE IN THE WORLD! Sorry…I got excited. Everything you could want is here, from toddler toys, pens, shirts and totes to Disney china for the kitchen and bedding it’s here. Everything you have seen in the parks you will find here and they usually have clearance sections for your budget travels. So stop carrying around bags with shirts, mugs and plush toys in the parks and buy them here at the end of the day to go back to the hotel. – Once you’re inside you have another hour or so after the store closes to finish your shopping, huge plus! Located in Marketplace. I was a bit hesitant to mention HoB since you have to pay to get in but it’s too good to not mention. Located in West Side, HoB offers great Southern food (re-invented menu by Chef Aarón Sánchez), down-home ambiance and great entertainment. You can find events before online as well as purchase your tickets before them. It’s a great alternative to get away from Mouse and Pixie Dust overdose and enjoy good music and food… There’s even a tribute to Led Zeppelin this week. Located in Marketplace this is one of the attractions in DD that I’ve always wanted to but have never gotten around to it. Although I can’t speak based on personal experience like the above mentioned must-do’s I will still recommend it. You rent nifty little boats and navigate your way through Village Lake, I can imagine amazing photo opportunities during the day and amazing views of everything lighted up during the night (specially during the holidays). The prices are rather reasonable for WDW and there’s a group offer that includes a driver (or should I say captain?) either way, check it out. Now I know this isn’t necessarily breaking news. However, there are many great dinning options at DD, gives you a break from the park hot dogs, fake grill marked burgers and fries. There’s Bongo’s Cuban Café for amazing Cuban food and mojitos. Fulton’s Crab House for seafood and an architecturally stimulating option. Wolfgang Puck Express for a different fare that won’t break your budget. Planet Hollywood and Rainforest Café – known chains with their own twist! If I had to pick I’d go with the latter, there’s something about a talking tree and rain noises that just opens up my appetite. Portobello for Italian dinning. T-REX Cafe , dinning in the pre-historic times of dino’s? Sign me up. Can I add a number 11? Yes? Score! Maybe it’s because I don’t have one of these where I live, although we do have a wide variety of Ghirardelli products I can’t go back to DD ever again and not go to Ghirardelli. Everything from hot sundaes to cones with scoops this is heaven on earth (or maybe Willy Wonka’s version?). There’s usually a line but it goes by quite fast since they’re used to a heavy volume of costumers. My hotel had a book with a discount so check online beforehand for coupons or ask at the counter if you’re staying in a hotel. — Reasonable prices and you can share almost all desserts, they’re quite big. Located in Marketside. There are many other places to go and things to do. There’s a Bibbidi Bobbidi Boutique where little girls are transformed into princesses (for a price). Team Mickey Athletic Club to grab a souvenir for that athlete in your life. Characters in Flight hot air balloon — I’m in a currently between a rock and a hard place with this; when I went in January the prices began at $40 however, online it says that they start at $12 , don’t think it’s worth the $$ though…get walking, do some cardio on vacation and see DD by foot (or in one of the boats) instead of standing in a hot air balloon. 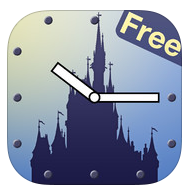 Of course, there’s always Disney Quest, but at $45 p/p may I suggest saving this in case you spend a whole day at DD? There’s also AMC Theaters, movie at Disney? Why not! (Can’t imagine how much the popcorn costs though). Check out the map before you go! Maybe you can fit in a day there in between parks to rest a little bit and save some $$ on parking and park entrance. Great to go at night for street entertainment and performances. Disclaimer: This is not a sponsored post. All things mentioned are done so by my own recommendation. Photo is taken by and is property of Disney and Sparkle, feel free to use it but if you can, link back to us! 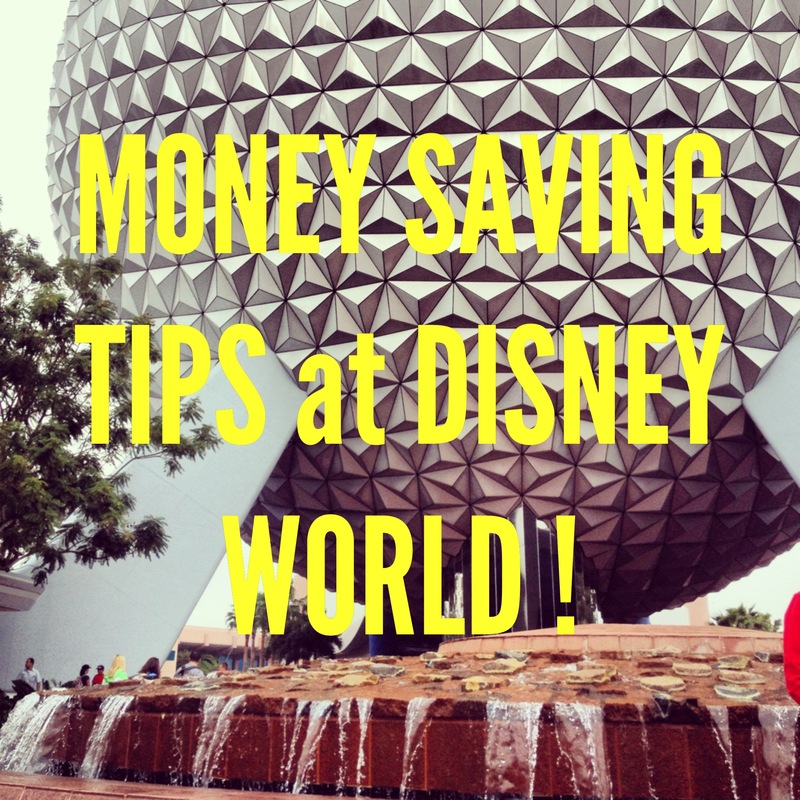 Visiting WDW, although magical can set you back quite a few bucks! I know there are MANY posts out there about how to save money but here are my tips and the ones I gathered as the most helpful while researching over the last few years as well as the ones that I have “created” on my own or inherited from my mother. 1. Go off season! – This is a hard one, since many people usually only get vacations once or twice a year and they may fall within high season (Christmas, New Year’s Day, Memorial Day weekend, Labor Day weekend, summer, etc.). However, if it’s possible go during “low season“. This won’t always assure short lines, I just recently went during the first week of January 2013 and we did encounter more lines & people than expected but it wasn’t quite as impossible as the week of the 24th – 31st of December. 2. Don’t stay at Disney hotels! – I know, it’s a tough one. But the reality is that you are charged a lot for Mickey Mouse sheets and riding on Disney’s Magical Express from MCO to your resort. There are many hotels within the WDW area, specially on International Drive, Downtown Disney area, etc. Sometimes you may find hotels for well under $70 a night (and if you venture out to Kissimmee you’ll, generally, find the absolute cheapest prices.) Rent a car, which you can find for around $300 a week during high season. Some of the benefits of renting a car are: cheaper breakfast off WDW grounds, transportation to supermarket/pharmacy to buy snacks, water, milk, etc., in case of emergency you don’t have to wait for a cab, if you park at the parks you don’t have to wait for a shuttle after an entire day of walking, dinner off grounds as well, you’re not limited to staying in WDW for the entire trip. Combine that with staying off grounds and you’re likely to save quite a few $$$. Specially buying snacks and water for the parks before hand, my number 1 tip! !, I’m sorry but almost $3 for a bottle of water? Heck no! Although, an extra tip is that anywhere inside WDW that serves fountain soft drinks you can ask for a cup of ice water at no charge. Also, don’t be afraid to look into one week apartment rentals, there are tons of sites like Air B&B that offer short term rentals (even weekends) for great prices – even compared to “cheap” hotels nearby. 3. BYO-Snacks/Water/Lunches – I cannot stress this enough, even if it’s a few bananas from the buffet (don’t look at me like that, it’s acceptable tourist on a budget behavior! ), cereal boxes, water, etc. absolutely anything is helpful. What I’ve always done (a behavior inherited from my parents) is go to the supermarket on the first day and buy packs of water, snacks and even plastic bows, cereal and milk for a quick midnight snack or even breakfast. Technically you’re not supposed to bring food in to the parks but the nice cast members at the entry will look the other way – unless it’s in a cooler. That is a huge Disney no-no. A few snack bars, cookies and PBJ/Ham and cheese sandwiches will get you through the day and then you can go off-property for a calm family dinner to recover from park mayhem. There are many local and chain restaurants that won’t empty your wallet if you drive 10-15 minutes. 4. Buy your souvenirs off-ground! Whether it’s at Walgreens, WalMart, Publix or special discount souvenir stores (you’ll see them everywhere!) take advantage of them. If you want to take something home to your loved ones the important thing is the detail not the value of it. A key chain will cost you $11.95 at the Magic Kingdom yet can easily be found for $2.99 at Publix (true story). 5. Give kids their own money! I have yet to do this since I don’t have kids but my parents did it with me and I will one day do it with my own. If it’s a surprise trip give them a certain amount ($40 for a 4 day trip?…you figure it out) when you get there or if it’s planned let them earn it at home ($5 for cleaning their room?) and when you get to WDW anything they want to buy has to come out of their wallets. Of course, food and beverage are not included but souvenirs, plush toys, funny pens, etc are. Teach them not to buy anything until the last day if possible, that way they’ll be sure of what they want and not regret having bought that $10 book of stickers the first day. 6. Buy Disney apparel beforehand! Sometimes K-Mart and Target have Disney themed apparel at great prices. What’s the point of spending $25 on a t-shirt when you can get it for $10. Check online as well, you can even get the same one for the whole family if you want to match. Also, buy Minnie/Mickey ears beforehand online, they’ll set you back at least $20 p/p at the parks. 7. BYO Poncho! – Florida weather is unpredictable, having lived there and gone to Disney four times before I still did not learn my lesson this January and left home without buying rain ponchos at Walgreens and had to spend $40 on 2 of them when it started raining on the 3rd day of our trip. Not worth it, trust me. 8. Share park treats! I usually only spend money on food on park treats that I can’t get at home (remember, I take my own snacks and have a filling breakfast and dinner off property!). Who can resist a Mickey premium? or a huge Mickey shaped pretzel with neon-orange cheese sauce? I know I can’t! But to save both money and calories split your treat with someone, they are generally pretty huge and you can ask for an extra plate (if necessary) at no extra charge. Limit treats to one per day, that way you won’t go overboard with calories, save money, and have something special every day. Also, lunches are pretty big so share one or order off of the kid’s meal for a good-sized lunch with healthy sides (usually apples or veggie sticks) that won’t break the budget. 9. BYO- Meds, lotions, shampoo, toothpaste, band aids, etc. – Your feet WILL hurt after a day at the parks even if you go at your own pace without kids (like we did) so take ibuprofen or acetaminophen, petroleum jelly (hey, I’m not here to judge, sometimes adults get diaper rash from walking in jeans all day, it’s okay..no need to be ashamed. ), vapor rub, fever reducer, band aids for small cuts, sunscreen, aloe vera for sun burns, moisturizer for dry skin during the winter, shampoo, conditioner, toothpaste, diapers, etc. Anything you can bring from home to save you money from having to buy at the parks (or drive off property to do so) is a life saver, specially if you all of a sudden get a headache at 11p.m. before going to bead. Remember to follow TSA rules for traveling with liquids and the things that you absolutely cannot take. If you plan ahead of time you can even order plastic bottles online for a few dollars and fill at home with the products you already have and are used to. 10. Plan ahead as much as you can! No need to create a minute-by-minute plan. But at least a day by day on your cellphone, where to have breakfast, what snacks to take, what treat to buy, extras budget, etc. so you have as little surprise expenses at possible. They will happen, they are sort of a staple of any vacation but research menus online, prices of certain souvenirs you’re certain you’re going to want to bring home and such. Review it in the morning and keep it in mind. There are lots of free things to do at WDW grounds – which is the topic for an upcoming post (so please come back :)). Research, set a certain amount for an emergency (flight cancelled…have to spend 10 extra hours at the airport..you’re going to need cash!) better to be over prepared than to be faced with surprises unprepared. Overall, have fun, laugh, eat that funnel cake you’ve been thinking about since you got to EPCOT but don’t get caught up in the vacation craze and keep your head on the ground, remember that you’ll probably be paying for the hotel room for at least a few months, you don’t want added unnecessary expenses to the ones you’ll already have waiting for you at home. Disclaimer: This is not a sponsored post. All companies, websites, stores mentioned are done so by my own recommendation. Photo is taken by and is property of Disney and Sparkle, feel free to use it but if you can, link back to us!. Have a sparkle-y day.